Last Wednesday, the US House narrowly defeated an amendment to allow VA doctors to recommend medical marijuana. Nearly 200 members of Congress, including 22 Republicans, voted in favor of an amendment Wednesday intended to allow physicians within the Veterans Affairs system to recommend medical marijuana to veterans in states that allow it. The bipartisan-sponsored amendment failed 195-222. The amendment, sponsored by Congressmen Earl Blumenauer (D-OR), Sam Farr (D-CA), Dana Rohrabacher (R-CA), and Jared Polis (D-CO), was the first of its kind to be introduced on the House floor. It would have become part of House Resolution 4486, the Military Construction and Veterans Affairs and Related Agencies Appropriations Act. Last Thursday, backers of an initiative to allow and regulate dispensaries in Riverside handed in signatures. The group, Riverside Safe Access, turned in about 20,000 signatures. They need about 12,000 to qualify for the next regular city election in June 2015 and about 15,000 signatures to call a special election sooner. Last Friday, a Fresno County judge put fines for medical marijuana growers on hold. Superior Court Judge Bruce M. Smith ruled that county officials can't start collecting fines from two property owners who appealed the new medical marijuana cultivation ban. One grower caught with 43 plants faces a $43,000 fine under rules adopted by the county. The board of supervisors was set to hear an appeal from another property owner Tuesday. In that case, the property owner was hit with a fine because his tenant grew 30 plants on his property. Also last Friday, activists sued the city of San Diego to block recently passed dispensary regulations. The Union of Medical Marijuana Patients Inc. filed the lawsuit charging that the city's regulations are too restrictive, will result in few dispensaries in the city, and will result in dispensaries being concentrated in certain areas of the city. On Tuesday, the San Luis Obispo city council rejected a ban on outdoor grows. After more than three hours of public comment, the city council voted 4-1 to reject an ordinance banning outdoor medical marijuana grows. The ordinance was brought before the council after neighbors complained of a large outdoor grow operation in the backyard of residence near Leff and Nipomo Street. Neighbors complained of a constant stench of weed, increased traffic, and the fear of crime. But the city council said the ordinance went too far in penalizing medical marijuana growers who are not a problem for neighbors. Also on Tuesday, the Healdsburg city council approved the outdoor cultivation of up to three plants. Patients, or their caregivers, will be allowed to grow three plants in their backyard or sideyard only, and also be able to cultivate up to six plants indoors. In response to perennial complaints about backyard marijuana gardens, Police Chief Kevin Burke last year proposed guidelines that would allow only indoor cultivation, with grow lights. But the proposal met with opposition from medical cannabis users, who said being forced to grow indoors is a significant expense, especially for low-income patients who need it. On Wednesday, activists handed in signatures for a Butte County initiative that would strip supervisors of the right to regulate medical marijuana grows. The initiative proposes to do two things: re-establish a previous version of medical marijuana growing regulations in the county.It would also prohibit the supervisors from amending cultivation rules without putting up for a vote of the people. Activists handed in more than 10,000 signatures; they need 7,600 of those to be valid to qualify for the November ballot. 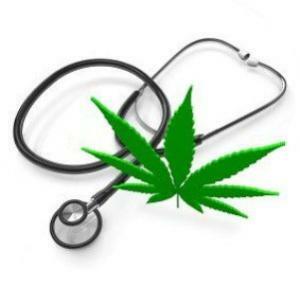 On Monday, the legislature approved a limited CBD medical marijuana bill and Gov. Rick Scott (R) said he would sign it. Senate Bill 1030 allows the use of CBD cannabis oil to treat epileptic seizures. Last Thursday, the senate passed a limited CBD medical marijuana bill. After an emotion-charged debate, senators voted 36-12 to pass Senate File 2360, a bill that legalizes the possession and medical use under certain conditions of cannabidiol, a non-psychoactive component of marijuana that backers say possesses a wide range of therapeutic benefits. Ten Republicans joined 26 Democrats in passing the bill. Sen. Joe Bolkcom (D-Iowa City) is the sponsor. On Monday, Gov. Terry Branstad (R) said he was unsure if he would sign it. He said he hadn't read the Senate File 2360 yet and noted that he has 30 days to take action. "This is not something that's been approved by the (Food and Drug Administration)," Branstad said in response to questions from reporters during his weekly news conference. Last Wednesday, a medical marijuana bill died in committee. There will be no medical marijuana legislation passing through the Louisiana legislature this year. Senate Bill 541, sponsored by Sen. Fred Mills (R-New Iberia) was defeated in the Senate Health and Welfare Committee on a vote of 6-2. On Tuesday, the Senate approved a medical marijuana bill. The Senate approved Senate File 1641, which would allow for up to 55 dispensaries statewide and allow patients suffering from a list of approved medical conditions to use the plant -- but not to smoke it. A companion measure in the House is even more restrictive. It could be up for debate as early as Friday. On Tuesday, a long-stalled medical marijuana bill got is first Republican sponsor. Sen. Joseph Robach (R-Rochester) added his name this week to the Compassionate Care Act, joining 17 other Democratic senators who have co-sponsored the measure. The bill's primary sponsor is Sen. Diane Savino, a Staten Island Democrat. Republican Senate leaders have held up the bill. Senate GOP leader Dean Skelos said Tuesday there was a "good possibility" some sort of bill would be approved this session, but that he would only support a limited CBD bill. Last Wednesday, the Oregon Health Authority released a list of localities that have dispensary moratoriums. According to the state, 131 cities and 25 counties enacted moratoriums on dispensaries. Oregon has 242 incorporated cities and 36 counties. Oregon passed a law regulating dispensaries, but localities could enact moratoriums until yesterday. Those moratoriums can only extend through May 2015. Last Thursday, Gov. Tom Corbett (R) said he now supports a limited CBD medical marijuana bill. He remains opposed to legalizing marijuana for medical use but now makes one exception: the use of a marijuana extract to treat severe seizures in children, his office said. Corbett's office first confirmed to The Associated Press that the Republican governor had met with several parents to tell them in person about his decision. The move came a day before patients and their families had vowed to stage at a sit-in at his office. On Tuesday, a federal judge denied a medical marijuana defense for a family accused of growing medical marijuana. A federal judge won't allow a family of a medical marijuana patients from Washington state to defend themselves against drug trafficking charges by arguing their pot plants were for medical purposes. US District Judge Fred Van Sickle of the Eastern District of Washington on Tuesday rejected the planned medical marijuana defense of Larry Harvey, 70, his wife Rhonda Firestack-Harvey, 55, and three others facing trial next week, saying they could not argue that growing marijuana was for medical purposes and legal under Washington state law. "The intent of the defendants is not relevant to the issues," Van Sickle said. "There's this concept of reliance on state law and the like. That's not relevant either." Because the federal government considers marijuana illegal, federal courts generally don't allow evidence that the drug may have been used for medical purposes, even when medical marijuana is legal under a state's law, as it is in Washington. The Harveys, their son, Rolland Gregg, 33; Gregg's wife Michelle, 35; and family friend Jason Zucker, 38, sought to describe their doctor-recommended medical marijuana cultivation at their upcoming trial on federal drug charges. How deliciously ironic is it that the many politicians who would never vote for any pro-MJ legislation are doing so now "for the children"? I'd say super-delish. Delectable and delightful. You know it's gotta stick in the craw of the hard-line prohibitionists that the legalization tide is turning in part by actually helping children instead of just giving lip service with policies that do more harm than good. They are going against very, very strong public support for MMJ. The Republican-Democrat divide is extreme on this, about 90% Dems in favor, 90% Repubs opposed. Hopefully at least a few of these 'old and in the way' cruel hearts will pay a political price this November, and then more of them every 2 years to come. Yea boy , they will send you to protect Opium Poppy crops abroad , [ you know , terrorists ] , but don`t you come back home expecting to use a plant for your war wounds . This is America , land of the free . It`s no longer " Hypocrisy " , it is now " Apostasy " .